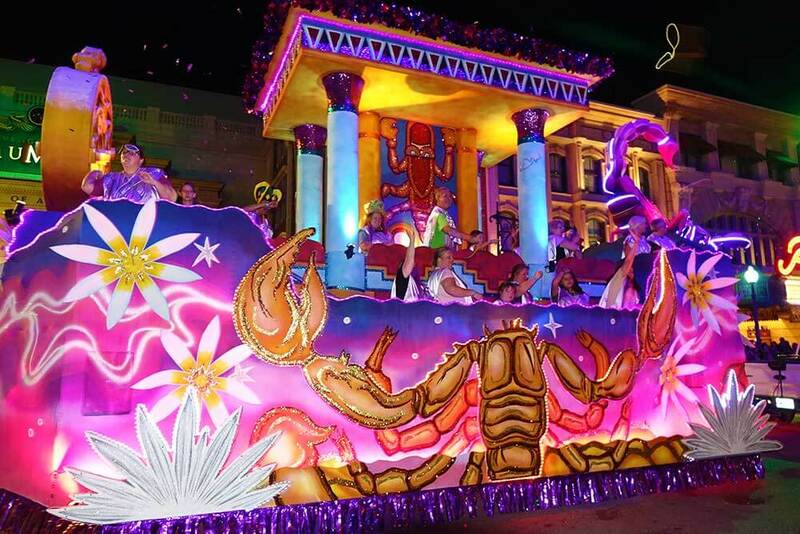 Every spring, Florida's biggest party comes alive during Universal Mardi Gras. 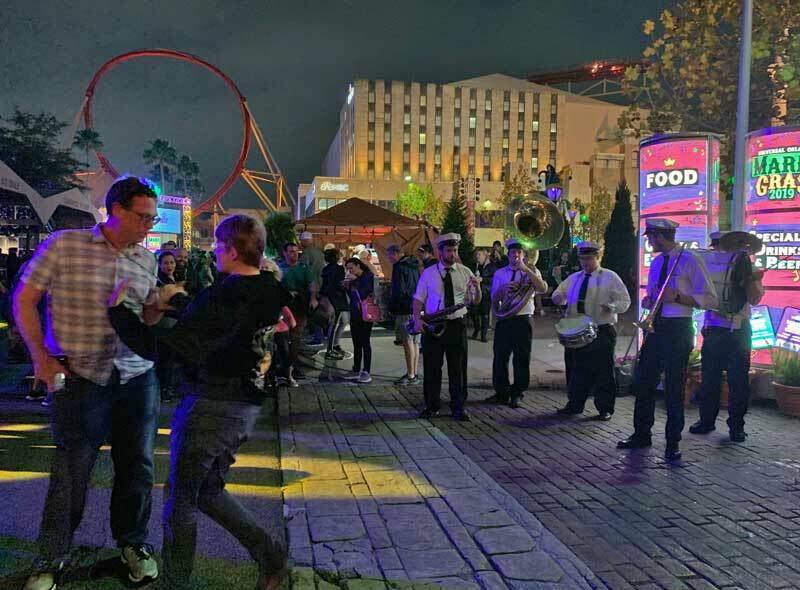 The Universal Orlando Resort plays host to the New Orleans celebration, and the party just keeps growing! 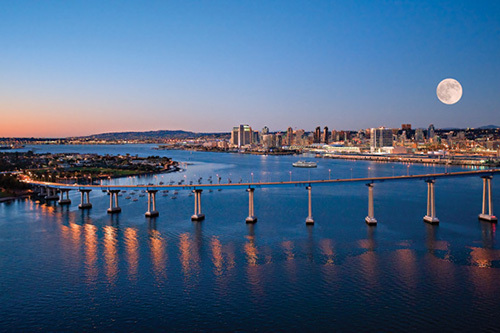 This year, it's back every night from Feb. 9 through April 4, 2019, with concerts on weekends. 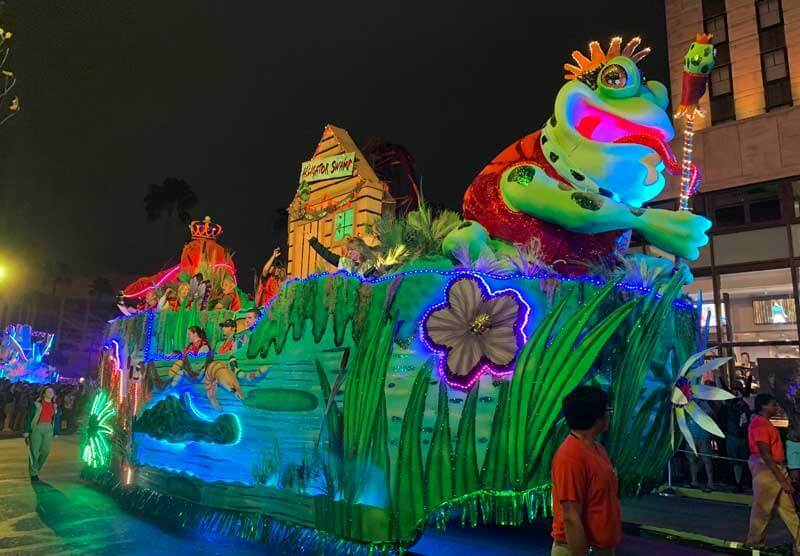 Universal Mardi Gras has some of the best food and entertainment you can find, which is why we frogs hop to it year after year. The best part? 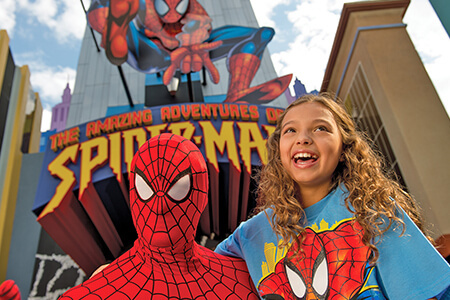 All of the extra fun is included in regular Universal Orlando park admission. 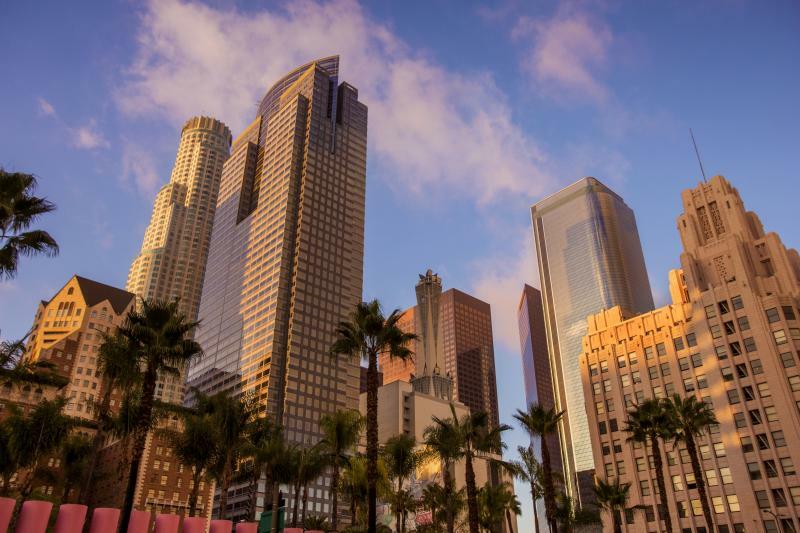 Between gorgeous weather, all-star concerts, killer food and a fun parade ... what more could you ask for? During Universal Orlando's annual event, Music Plaza Stage is graced with some fun performers, including Macklemore and Pitbull in 2019. 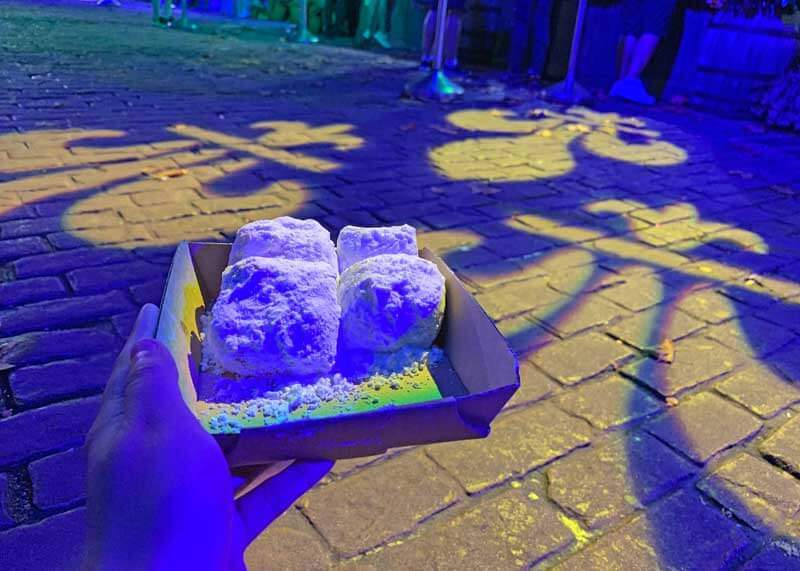 French Quarter Courtyard is chock-full of fun performers and delicious food ... beignets, anyone? 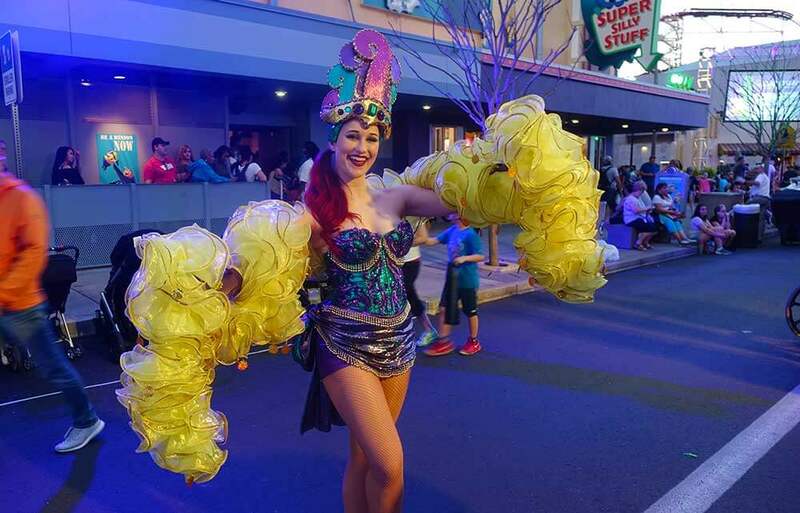 Last but not least, an authentic Mardi Gras parade graces Universal's streets of New York and Hollywood. 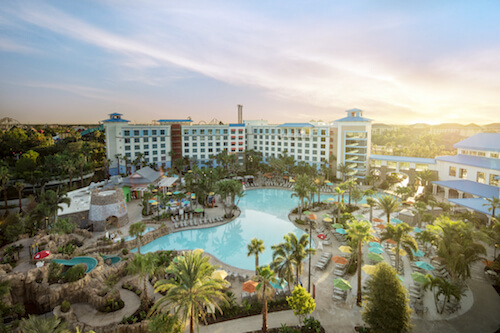 This fun, action-packed event takes place nightly during our personal favorite season in Orlando, so you really can't miss it. 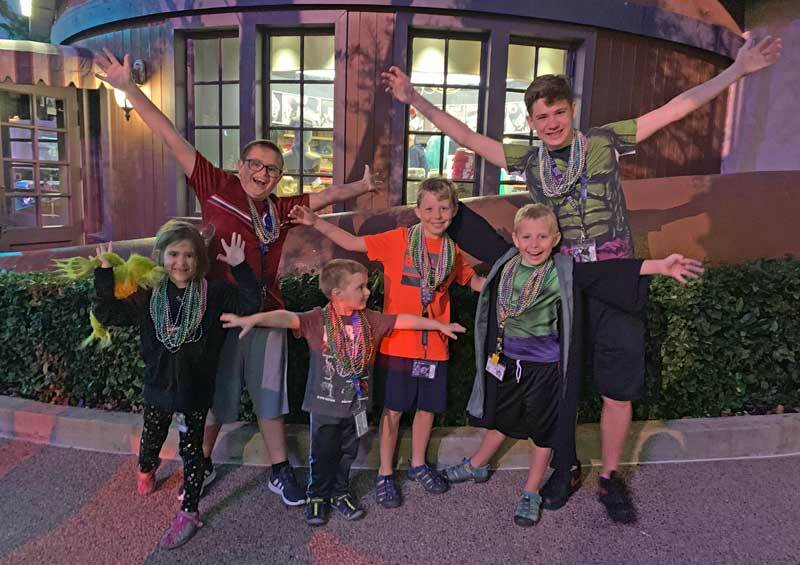 We're covering our top tips for this year's kickin' event, which includes the Universal Studios Mardi Gras tasting lanyards, new for 2019! New Orleans is known for its hoppin' delicacies, and the Cajun offerings at Universal Mardi Gras are no different. 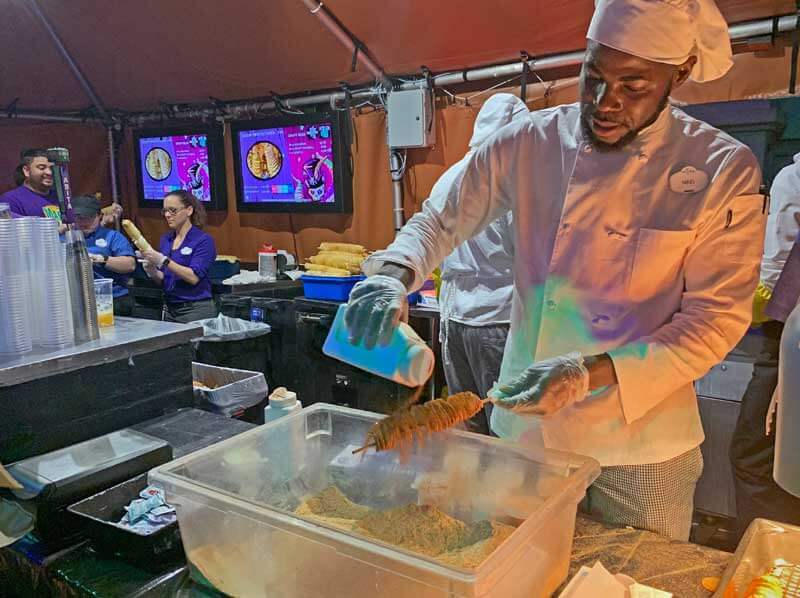 You can find these food booths, which open at 4 p.m. every day, at the French Courtyard Quarter across from the Mummy and Jimmy Fallon rides. Bold flavors will ignite your taste buds, and there are so many menu options to choose from! 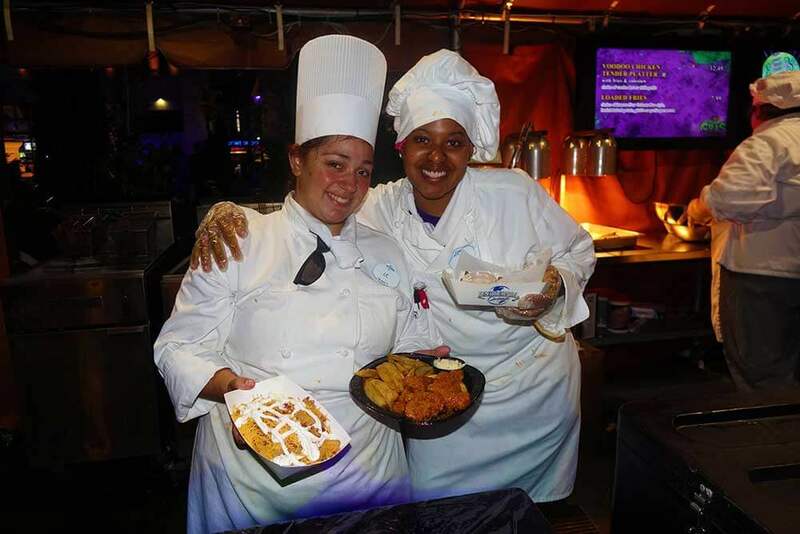 With gator bites, jambalaya, beignets and so much more, you'll want to try everything. Whether you're one half of a dynamic duo, or visiting with your entire frog squad, we recommend taking the sampling approach. In fact, Universal moved to new sample-sized portions for 2019 and has introduced a Universal Mardi Gras tasting lanyard. Not only does this allow you to try more unique tastes, but also helps if a flavor is a little too intense to commit to a full serving yourself. It's easier than ever to test all of the foods with the tasting lanyards! 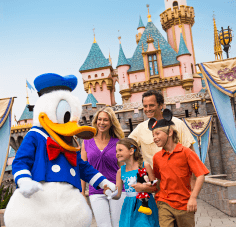 You can get multiple sample-sized dishes for one price: 5 items for $30, 10 items for $50, and if you’re an annual passholder, 15 items for $60. If you’re planning to come back another night during Mardi Gras, you can continue to use the tasting lanyard until you run out of items. Enough about the food. Let’s talk about drinks! Universal Mardi Gras is serving up several signature neon-colored cocktails, including Ragin’ Rumbalaya, Carnival Cocktail and Vicious Voodoo (which is a combo of the previous two). Leap enjoyed the variety of craft beer options, while I checked out the brand-new mimosa bar, which had fun flavors to choose from. If you’re looking to skip the alcohol or have tadpoles who don’t want to be left out, the Bayou Bog Water is a mocktail combination of gummy worms and fish, blueberry boba, lemonade and ginger ale. 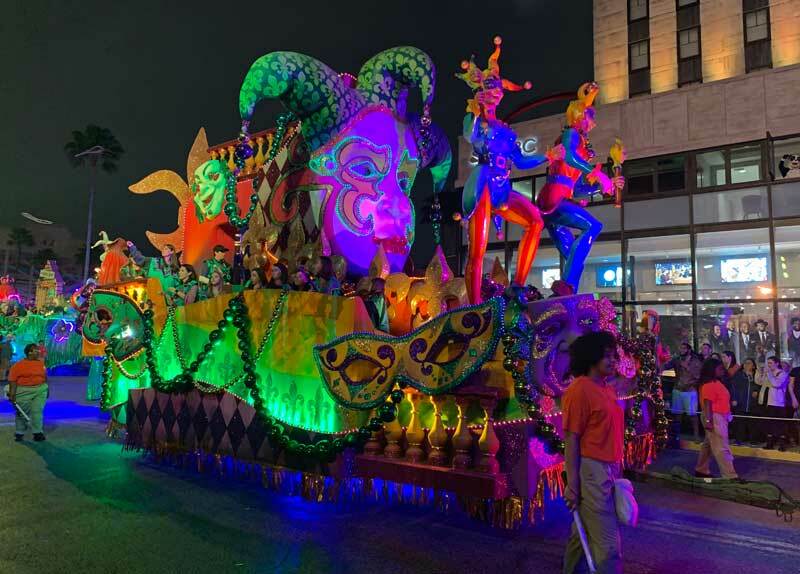 We may be getting ahead of ourselves here — first of all, be sure to check the Universal Mardi Gras times guide upon arrival to know when the nightly Mardi Gras parade is taking place. It varies from night to night, starting anywhere between 5:15 p.m. and 7:45 p.m. Those 7:45 p.m. showings are when you really have to plan ahead! If you want to attend the concert at 8:30 p.m., we recommend getting a spot right along the edge of the street in front of Music Plaza Stage for a quick turnaround to snag a concert spot. Our personal fave parade spot is in the New York area in front of The Mummy ride. There is also a small area reserved for passholders in front of Mel's Drive-In, and a family viewing area near the Brown Derby Hat Shop in Hollywood. These are great locations, but don't bank on them unless you arrive early ... they fill up quickly! To land a solid parade spot anywhere, try lining up about 30 minutes ahead of time. 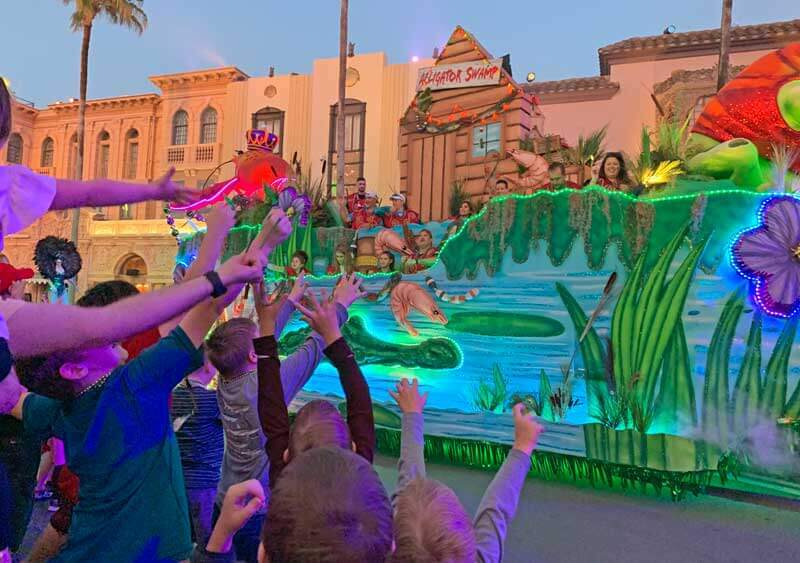 On weekends, crowds are heavier, so arrive 45 minutes early ... and if you have a larger group or want front-row seating, find your spot at least 60 minutes ahead of the parade start. Front-row seating (or standing) gives you and your tadpoles a better shot at catching beads. This is half the fun for us, so we recommend it! Universal Mardi Gras always has a super impressive lineup of performers from all different music genres for its concert series. On Saturdays and Sundays throughout the celebration, Music Plaza Stage hosts some of radio's finest bands and artists. 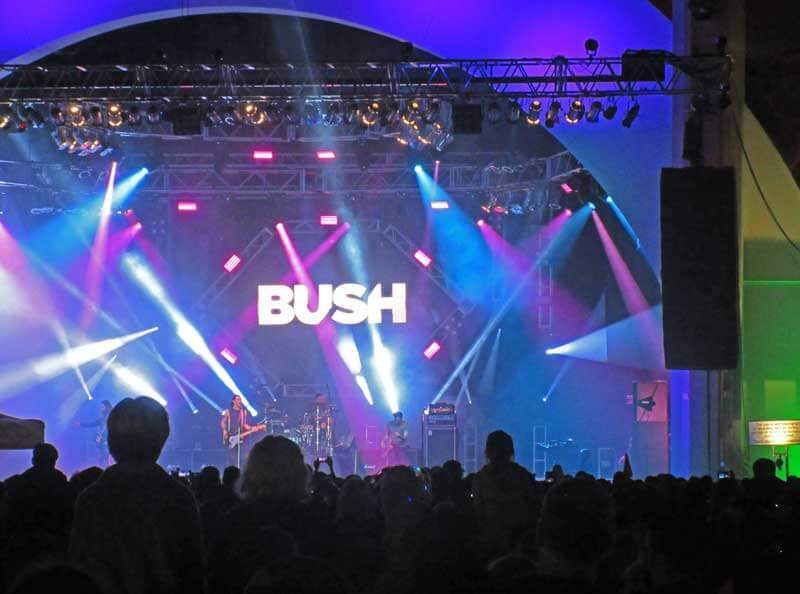 This year, we kicked off the very first night of Mardi Gras by rocking out to BUSH! You might be surprised how many songs sound familiar to you by the outstanding array of artists Universal Mardi Gras has to offer. Bazzi’s hit “Mine” and Dan + Shay’s tune “Tequila” have recently climbed the Billboard mainstream charts, so you may even find it easy to sing along. Even if the artist isn't your fave, you can't help but enjoy the killer performances they put on and admire their musical abilities! Performances begin at 8:30 p.m. on each concert night. 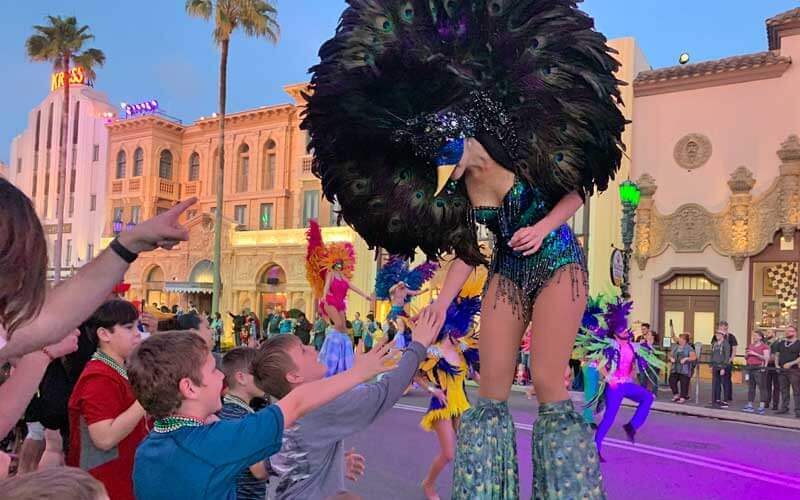 Concerts take place on select Saturdays and Sundays throughout Universal Mardi Gras. Concert crowds will vary depending on the popularity of the artist and day of the week ... Saturdays will generally bring in larger crowds than Sundays. Steve Miller Band is bound to attract those who appreciate groovy 70s rock music. Lily’s most excited for Disney star Sabrina Carpenter. If you can, we recommend landing your concert viewing spot about an hour ahead of time for a spot on the grass. Many of the parade performers are out and about hanging with guests for a few hours before the parade. 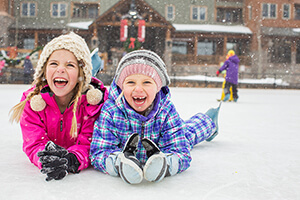 From joking jesters to princesses on stilts, there's something fun for everyone. These are awesome photo-ops for your tadpoles to enjoy. Tad loved goofing off with the jesters, and we all know Lily can't resist greeting royalty! You may also even get a chance to snag a hug or a high five from the performers during the parade. Staying true to the New Orleans atmosphere, you can catch the soulful sounds of live jazz and blues performers in the French Quarter Courtyard. With blaring trumpets and beating drums, it’s hard not to dance along to the rhythm. It’s important to say that there are no guaranteed ways to ride on a float, but you can attempt it a couple different ways. If you’re a passholder, you can try and sign up through an entry request for you and up to five other guests (they must already have park admission). If you’re selected, you’ll receive a confirmation email with float ride details. There’s always a chance that selected passholders do not show up by their designated time, so anyone can check the standby line (near Barney’s Backyard play area) about two hours before the parade time. Riders must be at least 18 years old, or accompanied by an adult AND at least 48 inches in height. We haven’t been so lucky to snag spots, but we assume the chances are a bit higher on a weekday. 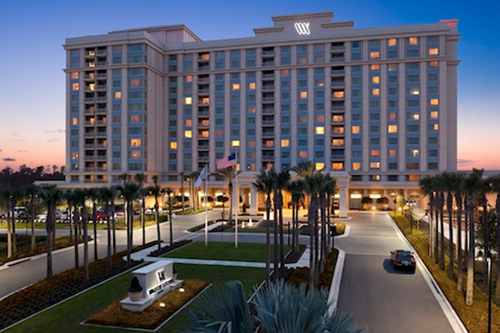 Are you ready to put your dancing shoes on and visit Orlando's version of the Big Easy? You're sure to have a blast! 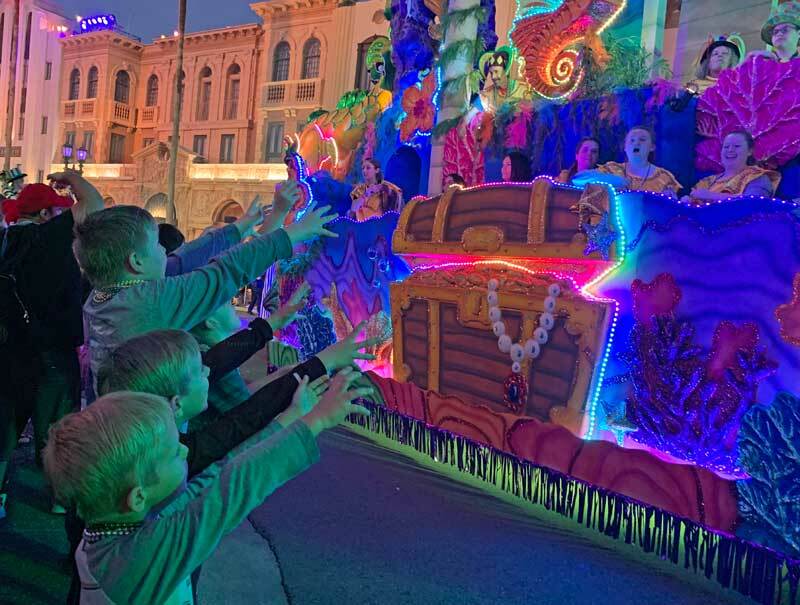 Hop on over to our discounted tickets now to plan your Universal Orlando Resort trip before the Mardi Gras fun floats away April 4.